Crossovers first began to show up in 1948 with the Willys-Overland Jeepster, though they wouldn't take the form we know for several more decades. At its core, the crossover is a vehicle that offers most of the features of an SUV but places them on a sedan or wagon base instead of a truck base. This offers generally better handling and control at the cost of some power and ability. Many consumers cannot see the difference between crossovers and SUVs, and for most of them, the distinction doesn't matter. Part of the confusion is driven by the use of ""crossover"" as a marketing tool, which blurs the line of expectations. Broadly, however, crossovers can be split into four major categories. Mini Crossovers are subcompact vehicles with mid-high rear roofs but short cargo areas. This makes them effective at hauling tall items like luggage, but the majority of interior space is focused on passengers. Compact crossovers are a little larger and tend to feature more cargo space and a somewhat larger engine, making them a better choice for up to five passengers. Mid-size crossovers have significantly more cargo space than their smaller relatives, and it's here that they're easily mistaken for SUVs. The use of the crossover name in marketing certainly hasn't helped matters, but from the exterior and interior alike, mid-size crossovers look like SUVs. The main difference is in the mechanics, rather than the design. Full-size crossovers have a more distinctive cargo area, and many have a third row of seats that can be raised or lowered as needed. At this point, crossovers are closer to being a full-size SUV or a minivan than a sedan, but they still retain the lighter and agiler base. This makes full-size crossovers the ideal choice for groups that need to move a large family without too much extra weight or need for towing. In the modern market, crossovers are often lumped together with the SUVs they resemble - and by 2006, crossovers made up more than half of the overall SUV market. As things currently stand, crossovers are more popular with older segments of the population, who generally appreciate the roomy interiors, easy handling, and reasonable amounts of power. In many areas, crossovers have all but entirely replaced the smaller station wagons, lending credence to the belief that people want more cargo space as long as it doesn't increase the price too much. For the foreseeable future, crossovers are likely to remain a major segment of the market. Listed below are the crossovers that received the 2019 J.D. Power award for highest quality, based on verified owner feedback detailing the number of problems they experienced with their new crossovers during the first 90 days of ownership. Listed below are the crossovers that received the 2019 J.D. 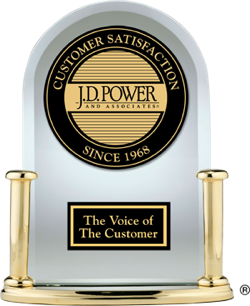 Power most dependable award based on verified owner feedback detailing the number of problems they experienced with their crossovers throughout three years of ownership. The fewer the number of problems reported, the better. Listed below are the crossovers that received the 2019 J.D. Power award for best performance based on verified owner feedback after 90 days of ownership. Does it make sense to skip the Mazda3 hatchback in favor of a CX-3 crossover? That’s the question we wanted to answer by spending a week with a Mazda CX-3 Grand Touring.